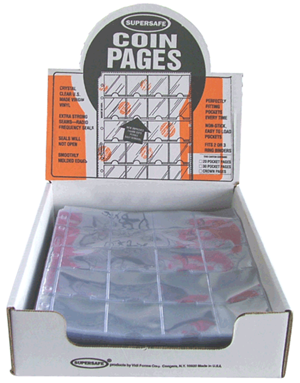 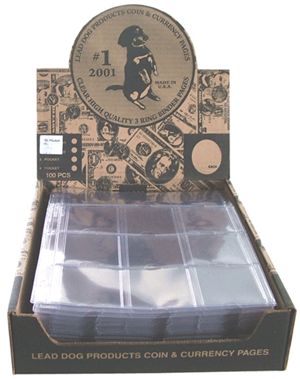 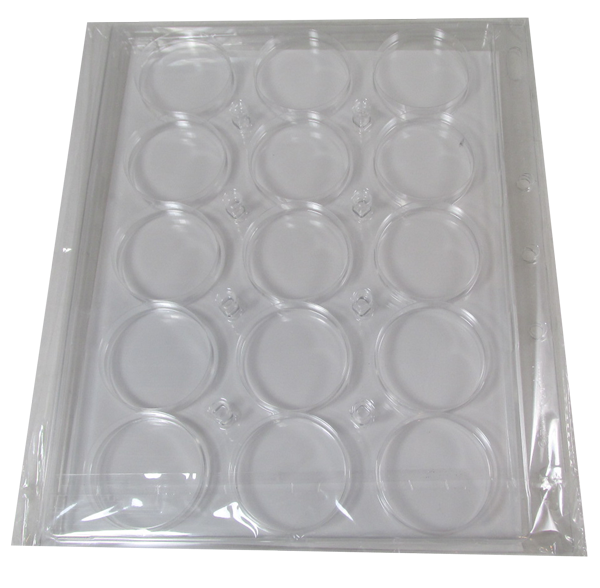 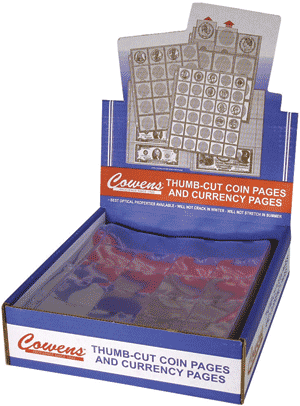 Cowens 20 Pocket Page for 2x2 Coin Holders Model Size Color Pack Qty 2514 100 Box of 100 pages is enough for 2,000 coin flips. 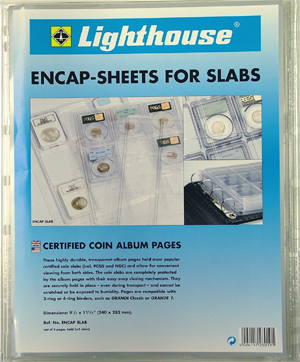 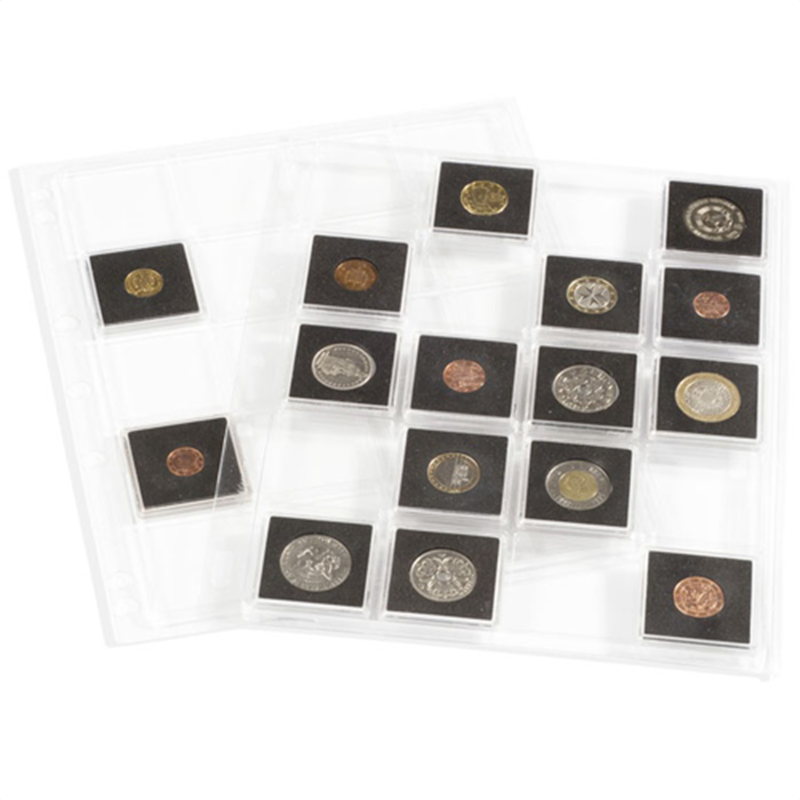 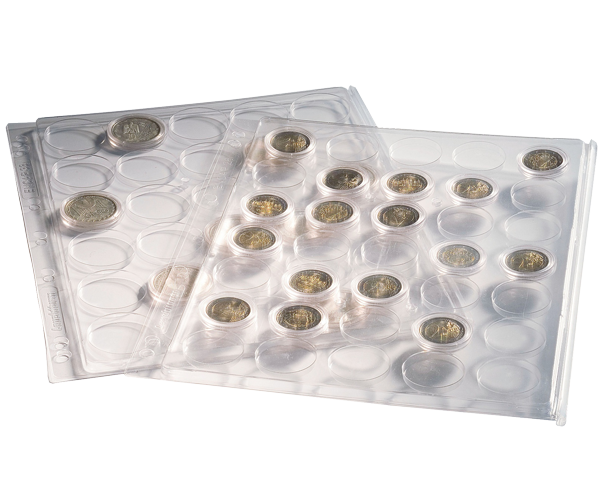 Three ring binder configuration lets you take your coin flips out of boxes so that you can build your own coin album. 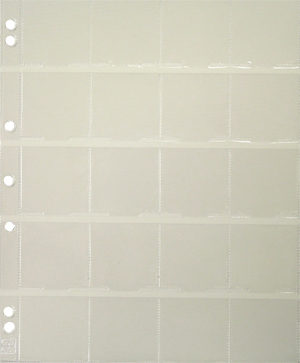 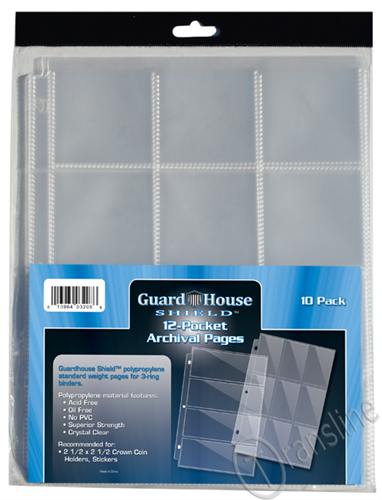 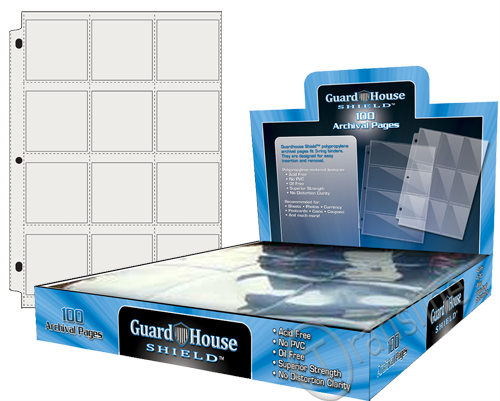 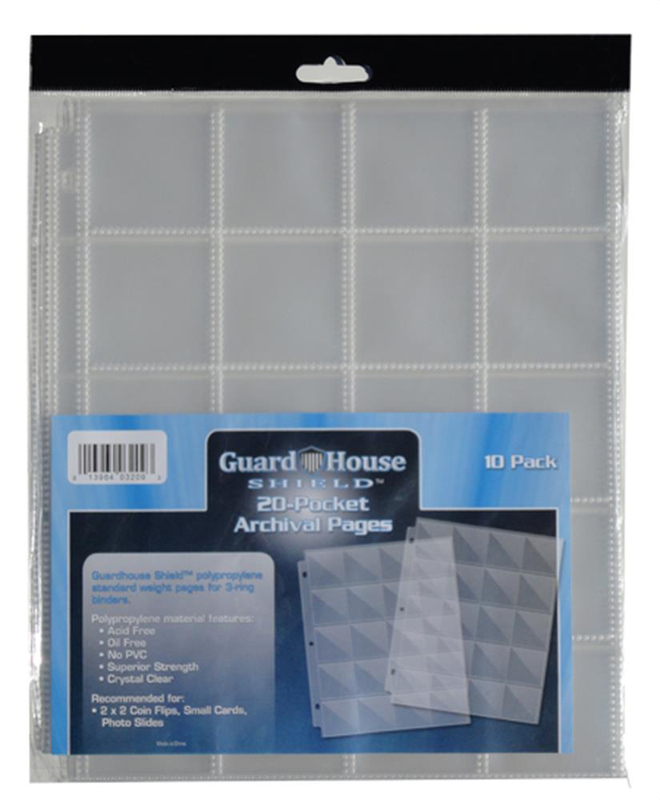 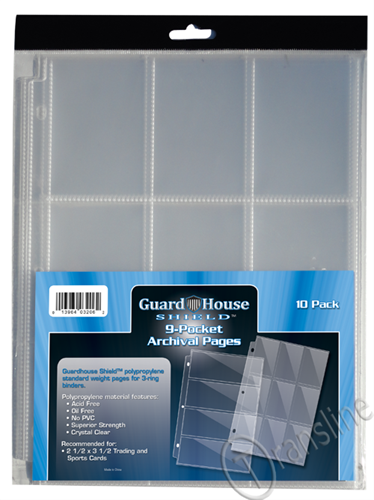 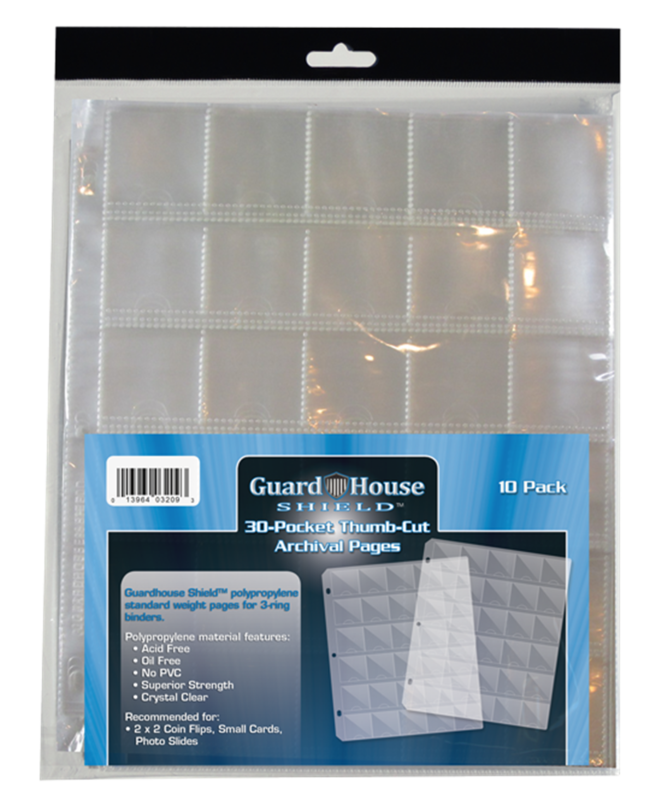 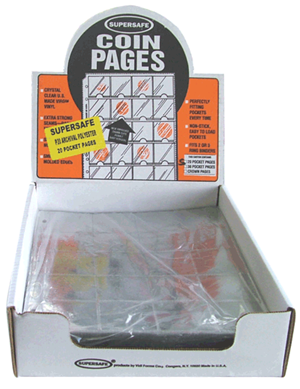 Supersafe 20 Pockeet Pages - 100 Pack Model Size Color Pack Qty NV20 8.75x12 100 Vinyl 20 pocket pages holds 20 of the 2x2 staple type flips on each page. 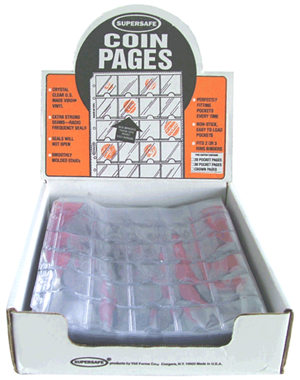 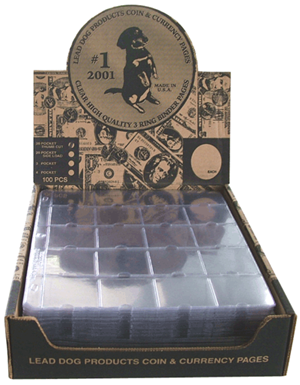 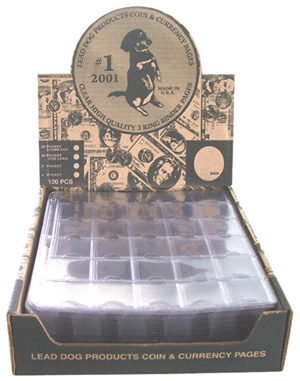 Box is 100 pages (2000 coins per box). 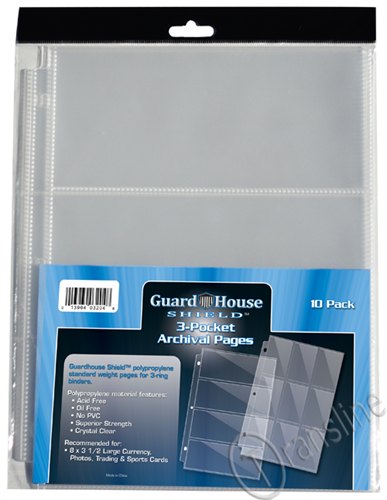 1.5 x 1.5 Pocket Pages Model Size Color Pack Qty 30LD 8.5x11.5 100 Note: These pages have squares that are 1.5 inches by 1.5 inches. 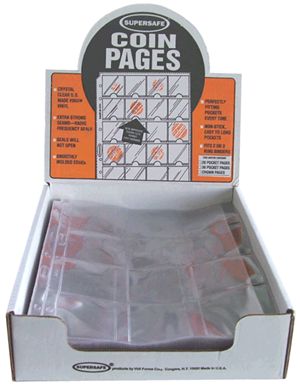 Unless you know that you specifically want pages for 1.5 x 1.5 flips you probably want the more common 2x2 page.